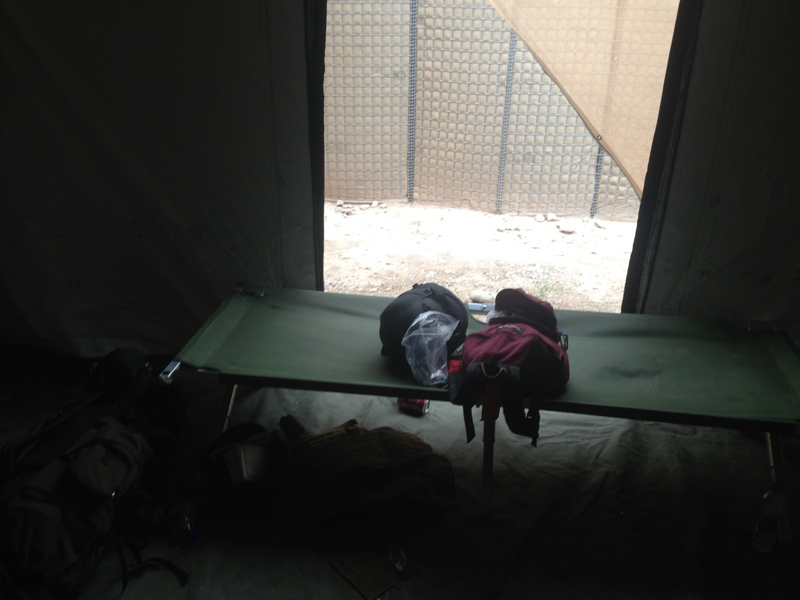 As I prepared for my first embed with in Afghanistan, I figured I might spend some time sleeping under the stars and taking “health and comfort breaks” in the woods as the Marines shut down several of their remaining forward operating bases. I’ve done a bit of tent camping, and I figured I couldn’t be disappointed if I managed my expectations. But, as it turned out, even the final days of FOB life came with quite a few creature comforts. 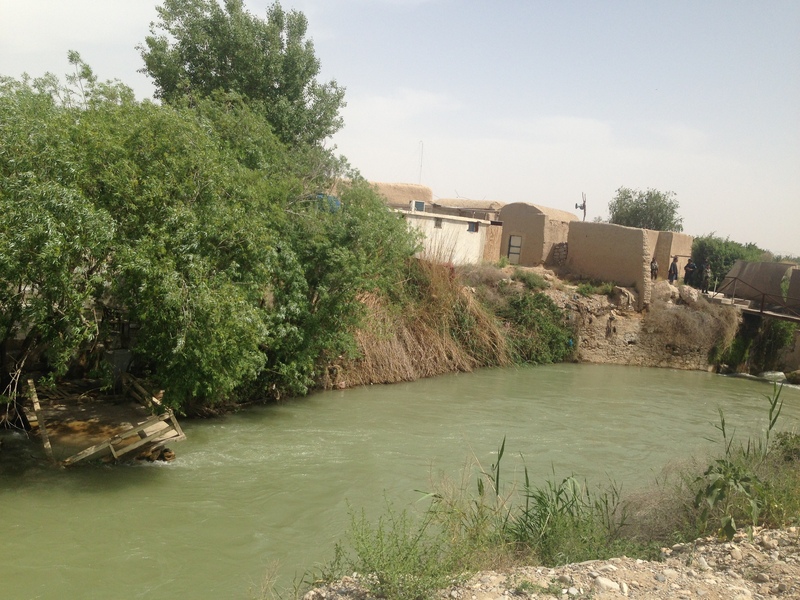 Soon after I arrived in Afghanistan, we moved to FOB Sabit Qadam (formerly FOB Jackson) in the Sangin district of Helmand province. Only a few hundred troops with Charley company, 1st Battalion, 7th Marines remained at the base, which was due to close in about three days. True, there wasn’t any air conditioning or cold water in the heat, which pushed into the triple digits, but the lights and electricity were still on in the stone house that served as a base HQ and lodging for reporters. (Power was supposed to be out in the tents where the Marines stayed, but the guys in one tent told us they’d “tactically acquired” a power source nevertheless). Tribal leader/drug lord’s house where we stayed. 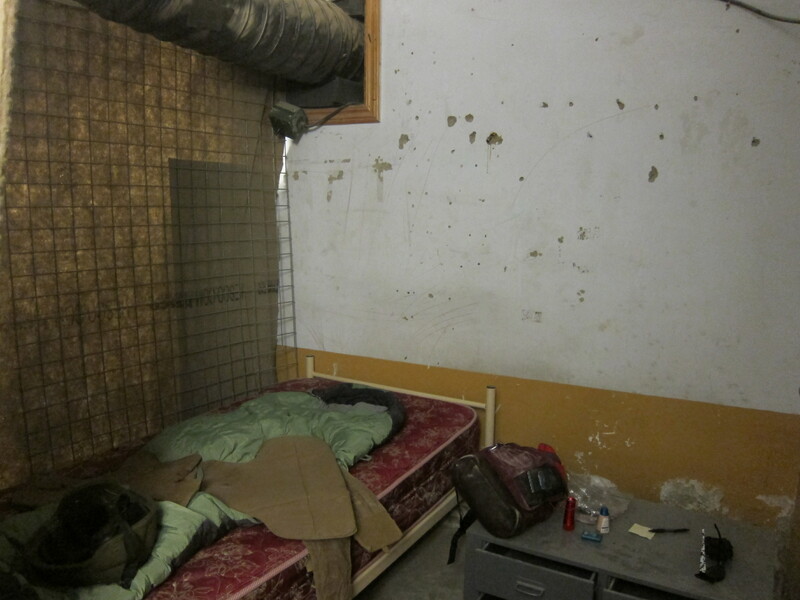 About that lodging situation: we were told the stone stronghold once belonged to a tribal leader/drug lord back in the day, and it was some pretty nice digs: beds with mattresses, and tile designs in the ceilings, albeit what looked like a few bullet holes in the walls. A good night of sleep anywhere. View of my messy bed. Bullet holes overhead? My stay at Sabit Qadam was, however, my first introduction to the Wag Bag, an ingenious little invention designed to deal with the facts of life in austere environments. Photo taken by my former colleague, Dan Lamothe, on a previous embed. Simply put: it’s a self contained single-use system to help you answer the call of nature. Open it up, take out a good-sized trash bag filled with an absorbent kitty litter-type material. Use that bag to line a toilet seat, and you’re ready to go. The kit comes with toilet paper and a wet wipe. After you’re done, you drop all the used items back into the outer bag and throw the whole thing away. The men had the option of using “piss tubes” in the dirt for No. 1, but for women, it’s Wag Bag and Wag Bag only. Pretty simple. 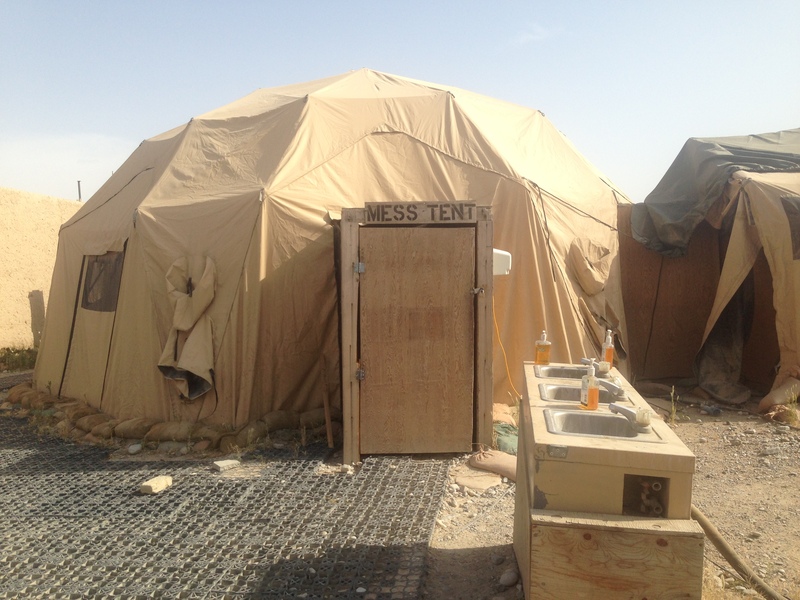 In the morning at FOB Sabit Qadam, I discovered the Marines were still serving a hot meal at the little mess tent on base, even if the water at the hygiene station outside the tent had been turned off. The hot food was a Unitized Group Ration-Express (UGR-E) and included a potato hash with cheddar cheese, biscuits, sausage, and cinnamon rolls, complete with an optional cream cheese frosting. The Marines manning the mess tent graciously offered me some of everything, but after I tried the cheese-hash mixture, I found out I wasn’t as hungry as I thought. All of the reporters and some of the Marines, I found, were as skeptical of UGR-Es as I was. Oh well. 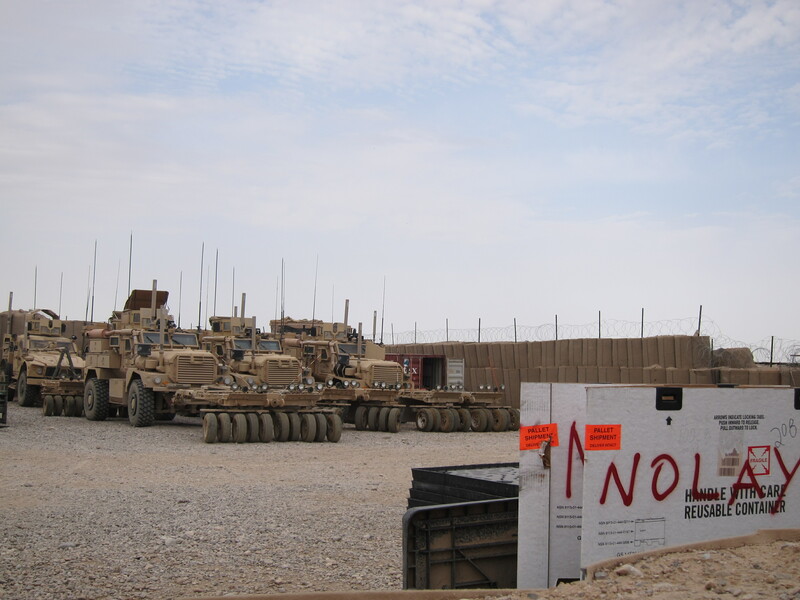 When we moved to FOB Nolay later in the day, we found a base that had advanced even further into the shutdown process. My bed situation was still comfy: I slept in a cool tent on a cot near an open panel that let fresh air in. But electricity at FOB Nolay was a thing of the past, as was running water. 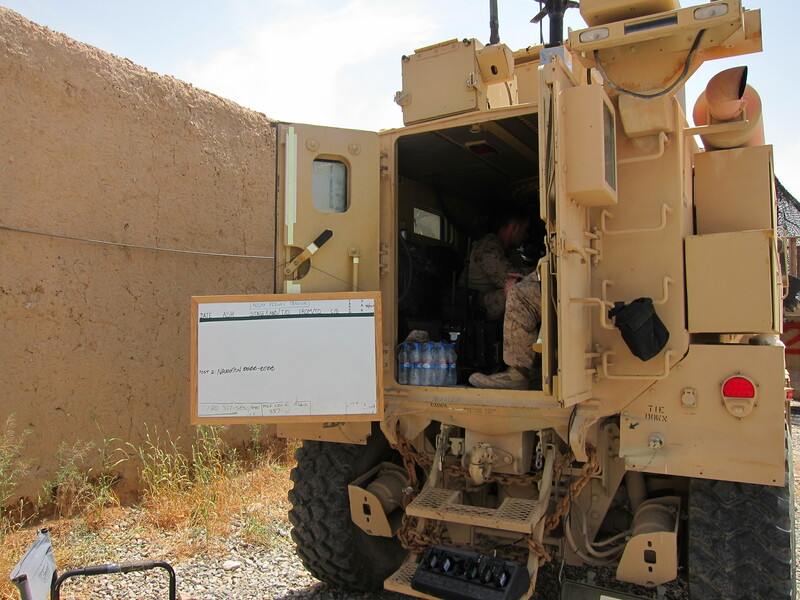 The only power to be had on base was at the command operations center, which turned out to be an idling MRAP staffed by officers who sat knee-to-knee inside. 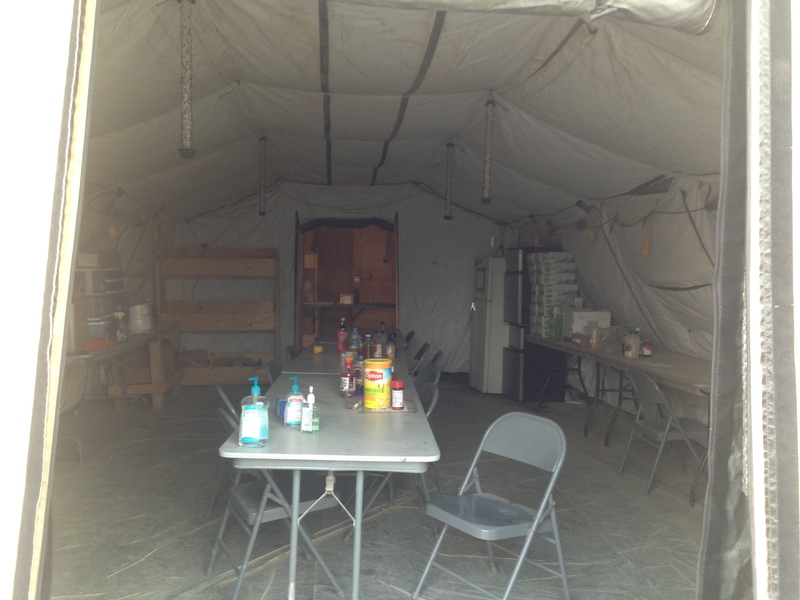 Meanwhile, mealtime at Nolay was the real deal: a tent equipped with tables, chairs, a variety of hot sauces, and a pick-your-own selection of Meals Ready-to-Eat, or MREs. It was a first combat zone MRE for me, and I went with Menu 23: Chicken and pasta with pesto, complete with all kinds of snacks–way more than you could eat in one sitting. Not bad, and way better than the UGR-E experience that morning. 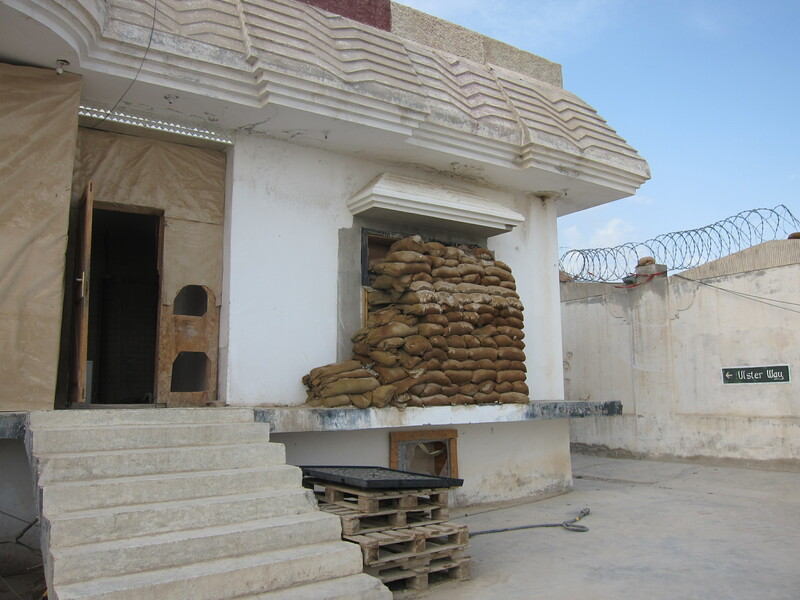 I discovered later that evening, however, that the Afghan linguists at FOB Nolay still found ways to make a hot Afghan meal: long-grain rice with potatoes. They shared some of the bounty with me, and it was delicious. The next day, I discovered the true extent of Marine Corps ingenuity. 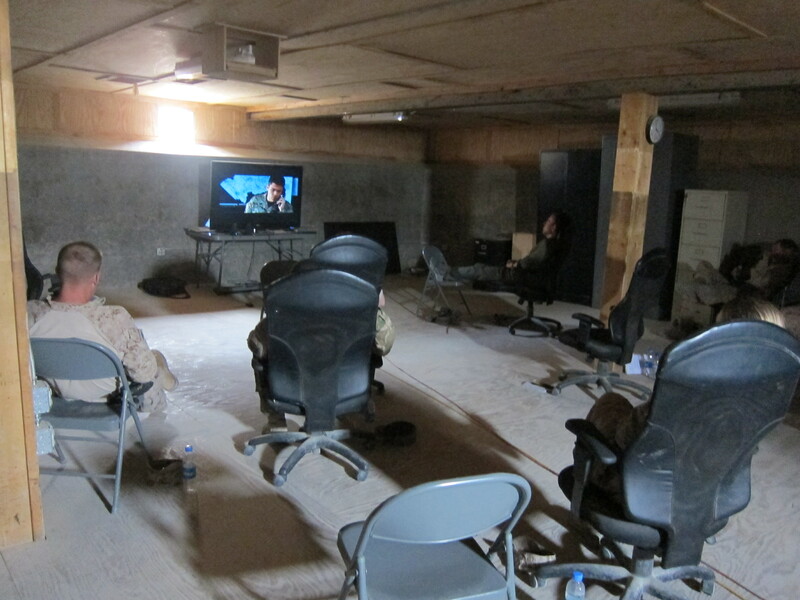 Someone had figured out how to hook up a tactical vehicle to a big-screen TV, and we watched Lone Survivor on the remaining office chairs in the dark as we waited for the heat of the day to abate. Within 48 hours, Marines would pack the remaining portable equipment into a convoy of vehicles and leave FOB Nolay behind for good. Truly, a once-in-a-lifetime experience in the final days of a FOB. FOB Nolay, just before closing. OMG. I am very proud of you. No running water? Wag Bag? No electricity? Your practically a Ranger. I hope your doing very well. Wow, Poto Leifi, way to miss the point of the entire column. Get a grasp. Thank You for posting this story but most importantly, a most sincere THANK YOU to ALL the Marines that have severed our country in this area of Helmand Province over the years!!!! Our son is a Twentnine Palms Marine and you folks have payed a heavy price in this area. Thanks to All of you for your service!!!!! !